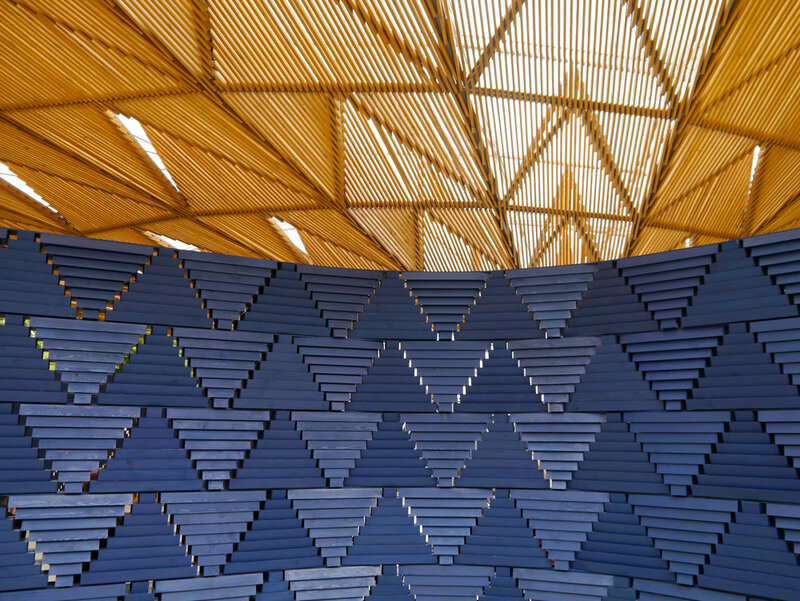 This summer Diébédo Francis Kéré is the 17th architect to take on the annual commission for the pavilion outside the Serpentine Gallery in Kensington Gardens, a commission providing a chance for an architect to create their first built structure in England. Kéré based between his hometown of Gando in Burkina Faso and his office in Berlin, references the idea of a tree as a gathering space for his design, a place for community. The tree providing a space for people to take refuge in poor weather, to enjoy shade in the midday sun and a space for discussion. 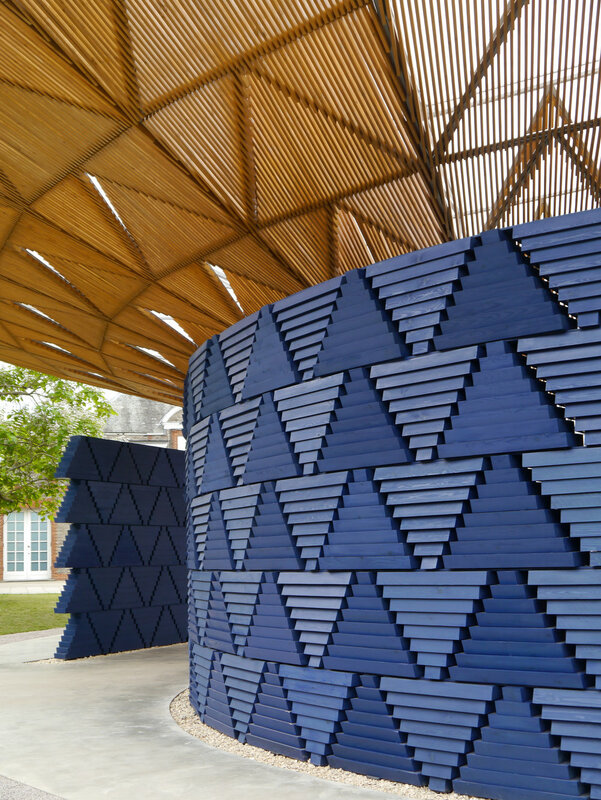 The walls of his indigo blue pavilion are constructed of triangular section of wood in a V-shape, giving glimpses in and through, the roof is tilted and angular which in poor english weather will direct the rain to form a waterfall at its centre; collecting some 9,000 litres of water to irrigate the surrounding parkland. The blue, in Kéré's culture, is important, it is the best appearance you can put forward, the colour you wear when ask to marry the girl of your dreams. The blue is all enveloping, the smell of the wood all around you is unlike any pavilion to date. A remarkable piece of design and architecture, focused to provide a natural meeting place from 23rd of June through to the 8th of October in Kensington Gardens.